About Us | MTZ Equipment Ltd.
Our Heritage - MTZ Tractors - Value and reliability from the world's largest tractor manufacturer! Minsk Tractor Works (MTZ) was founded on May 29, 1946 in Minsk, Belarus. With a history of more than 60 years, MTZ has become one of the largest manufacturers of agricultural tractors in the world, employing more than 30,000 people. 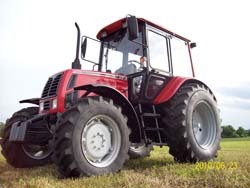 Minsk Tractor Works has produced over 3 million tractors and exports to more than 100 countries. Today, customers can choose from 62 different models with many assembly options for all climates and operating conditions. 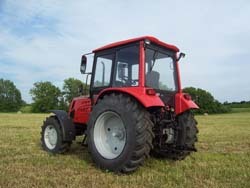 MTZ Equipment Ltd. is the exclusive USA and Canadian Distributor for Minsk Tractor Works. We are proud of this association and will continue the excellence and success with the US and Canadian Dealers that Minsk Tractor Works is recognized for, worldwide.